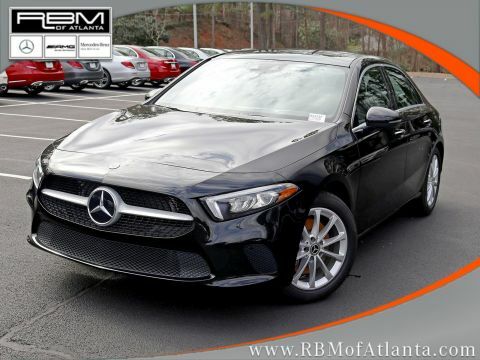 WHEELS: 17 10-SPOKE (STD), SIRIUSXM RADIO -inc: free trial period, PREMIUM PACKAGE -inc: 10.25 Digital Instrument Cluster Display, KEYLESS GO Package, KEYLESS GO, HANDS-FREE ACCESS, Connect20, 10.25 Touchscreen Multimedia Display, Mirror Package, Auto-Dimming Rearview & Driver-Side Mirrors, Power Folding Side Mirrors, POLAR WHITE, MULTIMEDIA PACKAGE -inc: Traffic Sign Assist, Augmented Video for Navigation, MB Navigation, Mercedes Me Essentials Package, Navigation Services, OTA Navigation Map Updates, MOE TIRES (EXTENDED MOBILITY), GARAGE DOOR OPENER, BLIND SPOT ASSIST -inc: exit warning assist, BLACK, MB-TEX UPHOLSTERY, BLACK HEADLINER. 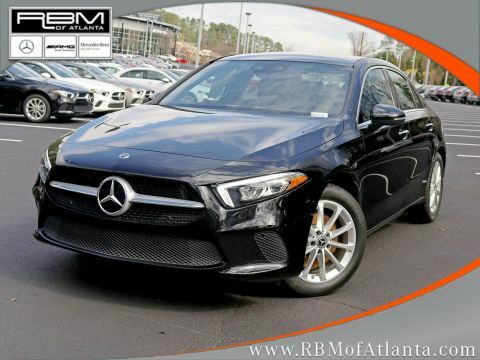 This Mercedes-Benz A-Class has a strong Intercooled Turbo Premium Unleaded I-4 2.0 L/121 engine powering this Automatic transmission. 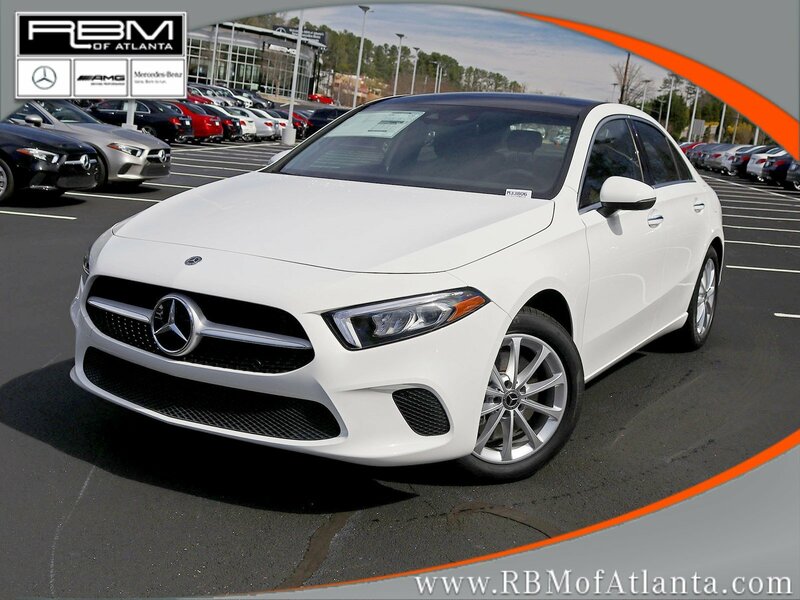 *This Mercedes-Benz A-Class A 220 Has Everything You Want *Wheels: 17 10-Spoke, Wheels w/Silver Accents, Voice Activated Dual Zone Front Automatic Air Conditioning, Trunk Rear Cargo Access, Trip Computer, Transmission: 7-Speed Dual Clutch, Transmission w/Driver Selectable Mode and Sequential Shift Control w/Steering Wheel Controls, Tracker System, Tires: 205/55R17 -inc: MOE Tires (Extended Mobility), Tire Specific Low Tire Pressure Warning, Systems Monitor, Strut Front Suspension w/Coil Springs, Streaming Audio, Smartphone Integration, Side Impact Beams, Remote Releases -Inc: Power Cargo Access, Remote Keyless Entry w/Integrated Key Transmitter, 2 Door Curb/Courtesy, Illuminated Entry, Illuminated Ignition Switch and Panic Button, Redundant Digital Speedometer, Rear Cupholder, Rain Detecting Variable Intermittent Wipers. 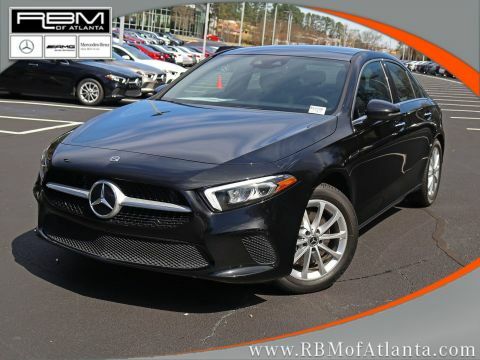 * Stop By Today *A short visit to RBM of Atlanta located at 7640 Roswell Road, Atlanta, GA 30350 can get you a trustworthy A-Class today!